In yet another push towards ethical and sustainable tourism, Thompsons Africa has signed the 'Born to Live Wild' pledge. The global leader in travel and tourism, dedicated the entire day to watching the award winning feature documentary, Blood Lions, with over 100 employees in attendance - and then committed to signing the pledge not to support exploitative wildlife interactive tourism. READ: Canned lion hunting: What difference does a month make? Blood Lions, together with key partners around the world, have made great strides in their efforts to raise global awareness around captive lion breeding, ‘canned’ (captive) hunting and the lion bone trade to Asia. Upholding the values of responsible tourism, Thompsons Africa’s pledge formalises their stance against these activities. "We are very proud to partner with Blood Lions in creating awareness around the canned hunting industry. It is important that our people understand why we say no to our customers when they request experiences involving walking with lions, cub petting and other forms of animal interactions. "Tourism in South Africa is about our wildlife and nature and we want to keep it that way! We want generations of families from all over the world to continue to see our wonderful wildlife in their natural habitat… not caged or being handled by hundreds of people each day. 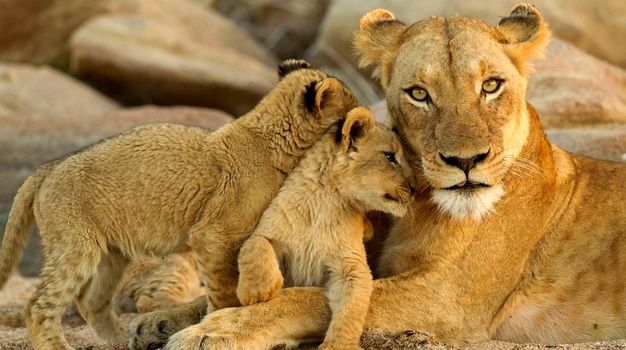 We pledge our support to the Blood Lions campaign and we pledge to continue to create awareness in holding up the values of sustainable tourism," says Alessandra Alleman, CEO Thompsons Africa. In marketing themselves as breeding facilities, these entities confuse the conservation messages and priorities, specifically with lions, which in turn results in a misdirection of vital funding that negatively impacts wild lion populations. To not knowingly book or otherwise support any breeder or operator that contributes to the cycle of breeding, exploitation and senseless killing of predators. This includes all petting and ‘walking with lion’ facilities. “To have one of the largest tourism operators in Africa stand behind the ‘Born to Live Wild’ pledge and commit to promoting ethical and responsible tourism in South Africa is a huge step forward for the industry. We commend Thompsons Africa for pledging against these exploitative wildlife activities. Blood Lions is proud to partner with them in this campaign.” says Pippa Hankinson, Blood Lions Producer.